COMPLETELY REFORMED FOR THE 2017 SEASON! Club Sa Coma, recently renovated, consists of 52 apartments spread over five blocks. The apartments are fully equipped and all consist of air conditioning, television and balcony or terrace. The complex enjoys a privileged location where you can enjoy the holidays combining tranquility and leisure. Located just 100m from the beach and very close to a variety of bars, shops, restaurants. In the vicinity of the hotel you can also enjoy natural sites such as Punta de n'Amer and perform many activities such as diving, golf, surfing, cycling or visiting markets and other interesting places on the island. At Hipotels Marfil Playa, enjoy a satisfying meal at the restaurant. Relax with your favorite drink at the bar/lounge or the poolside bar. The 4-star Hipotels Mediterraneo (adults only) is set on Sa Coma beach, surrounded by tranquil gardens. You can enjoy a meal at one of the hotel’s four restaurants, have a drink in the bar, logon using the free wifi, relax in the full service spa, and cool off in the outdoor pool. And, each air-conditioned room has a private balcony, flat-screen TV, and en-suite bathroom with free toiletries. Grab a bite to eat at one of the aparthotel's many dining establishments, which include 3 restaurants and a coffee shop/café. Relax with your favorite drink at the bar/lounge or the poolside bar. When you stay at Hotel Palia Sa Coma Playa in Sant Llorenc des Cardassar, you'll be near the beach, within a 15-minute drive of Cala Millor Beach and Caves of Drach. This 4-star hotel is 13.9 mi (22.4 km) from Cala Agulla Beach and 0.1 mi (0.1 km) from Strandpromenade. A modern 4-star resort right by the sea, the Hipotels Mediterráneo Club is found by Sa Coma beach and Punta d’Amer national park. Relax in the hotel’s private gardens and 4 pools and enjoy spectacular show-cooking in the Mallorca Restaurant, tasty treats in the Mediterráneo Cafeteria and authentic tapas in La Finca. The Hipotels Mediterráneo Club’s air-conditioned apartments all have a kitchen, living and dining area with sofa beds, balcony, satellite TV, wi-fi access and private bathroom. The modern 4-star THB Sa Coma Platja is situated by the beach, 9 km from Pula Golf. With direct access to the beach, the hotel’s facilities include an outdoor swimming pool, a pool bar, restaurant Coma di Mare serving Italian dishes, and a children’s miniclub. The stylish, modern rooms feature mini-bars and private bathrooms. Situated on the beautiful east coast of the popular tourist island of Mallorca, the luxurious adults-only hotel Mallorca Palace enjoys a convenient situation in Sa Coma, only 250 metres away from the marvellous sandy beach and the crystal-clear, turquoise waters of the Mediterranean Sea. A wide range of restaurants, cafés and shops can be found in the vicinity, and various excellent golf courses can be reached within a short drive. The spacious, elegantly appointed rooms feature air-conditioning, WIFI, satellite-TV and a terrace. Guests can lounge in the lovely garden area with lagoon-style pool or indulge in total relaxation in the first-class spa & wellness area with fully-equipped gym, indoor pool, sauna, steam bath and massage treatments. Culinary options include a buffet restaurant with international cuisine and show-cooking as well as an exquisite gourmet restaurant and an elegant pool bar. A perfect choice for luxurious beach holidays. Stop by the hotel's restaurant for lunch or dinner, or grab snacks at the coffee shop/café. Unwind at the end of the day with a drink at the bar/lounge or the poolside bar. A complimentary full breakfast is served daily from 7:30 AM to 11 AM. The modern, cosmopolitan resort of Sa Coma overlooks a spectacular sandy beach and is the perfect place to enjoy the exotic Mediterranean scenery in a more secluded setting. This family friendly resort also contains many affordable restaurants and lively entertainment venues, and is close to the beautiful walking route of the Punta de n'Amer peninsula, a special nature reserve. At the Punta de n'Amer, you can see the 17th-century watchtower, the Castell de n'Amer, where you can enjoy wonderful views of the surrounding coastline, especially if you wake up early enough and arrive just after sunrise. Few religious buildings in Spain can rival the magnificent Cathedral of Santa Maria of Palma, otherwise known as Palma Cathedral, which is more than 120m in length. This building, which took more almost four centuries to complete, is known for its elaborate Catalan-Gothic-style features, and was erected on a former Arab mosque. Often nicknamed 'Little Venice', the Cala Figuera is one of the most attractive resorts in the Mediterranean, and is relatively undeveloped. Although there is technically no beach here, there are plenty of great spots for swimming in the crystal clear emerald waters, and numerous scenic coastal walks to enjoy. On the outskirts of Palma, Bellver Castle is a unique circular castle that was designed in the 14th century and is more than 110m tall. The Gothic building was a military prison for many years, but it is now the location of the popular Palma History Museum, where you can learn about this port's formidable maritime heritage. This phenomenal coastal walk, on the most northerly point on the island, offers more impressive views of the Mediterranean coast and features an ancient road that was once used to transport donkeys. The Cap de Formentor is also overlooked by the Formentor Lighthouse, which, at 210m above the sea, is the highest in the Balearic Islands. If you're after some fantastic homemade pizzas, you can try Chilly's Bar Pizza House, or head to Amore Mio for other delicious Italian dishes. For some tasty British cuisine, you can dine at the JJs Restaurant and Bar, or choose the Bollywood Star Indian Restaurant for other terrific meals. Book a stay at the Hipotels Marfil Playa for stylish amenities and great customer service, or choose the charming Protur Sa Coma Playa Hotel & Spa for another truly relaxing experience. 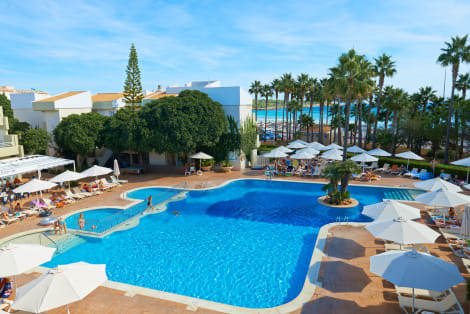 Other highly regarded Sa Coma hotels you may want to consider include the elegant, value-for-money Protur Palmeras Playa, the charismatic Protur Biomar Gran Hotel & Spa, and the photogenic Hipotels Mediterraneo.